Tiger Woods is finally back... back to winning. After knee surgery and two tournaments this year, Woods captured the Arnold Palmer Invitational for his first victory of the year in a dramatic come-from-behind win - with a flair we are so accustomed to see in him. I was fortunate to tuned in and catch Woods making par at the 14th hole still down one stroke to Sean O'hair. But when he connected on a long birdie putt at the 15th to tie it, I felt that all the momentum is on Tiger's side and Sean O'hair would need to make something special to turn the tide. At the 16th, O'hair's ball landed on the water and Tiger finally took the lead. On the 17th, Tiger had a bogey because his ball fell on a difficult lie on after the tee. It was tied going into the last hole but you can sensed from the crowd that they knew Tiger would win. And he did in superb style. Tiger birdied the last hole to capture his sixth title in this event and 66th win in his PGA Tour Career. He started the day 5 shots back and his win proved onced again he could come back to win a tournament although he has yet to do that in major championships. The win is definitely a big boost as he prepares for his favorite golf major championship, The Masters on April. Japan finally outlasted resilient South Korea in the 10th inning to defend their crown and capture the 2009 World Baseball Classic 5 -3 in a classic battle of two of most fundamentally sound baseball teams in the world. Ichiro Suzuki carried the Samurai side over the pesky South Koreans with a 2 RBI double in the top of the 10th to put Japan up 5 - 3. Japanese phenom, 22 year-old Yu Darvish finished off the South Koreans with a strike out after giving the tying run on the 9th inning. For most of the game, Japan outhit the Koreans. But the Koreans' defense kept holding out from breaking away. Ogasawara started the scoring with single RBI on the top of the 3rd inning. With bases loaded and only one out, the Koreans came out with a double play to end the inning only down by 1. On the next inning, Japan once again threatened to have a wide lead but the Koreans came up with a strikeout double play. Fired up with their great defense, the South Korean sides tied the game up when Shin Soo Choo homers again Iwakuma who retired the first 11 batters he faced, striking out 4. At the bottom of the sixth inning, Iwakuma walks lead off hitter y k lee. Then Iwakuma and Catcher Jojihma came up with a strikeout double play of their own to end the inning. On the top of the 7th inning, Kataoka leads with a single and stoles 2nd base. Ichiro then produces a perfect bunt to reach first base and move Kataoka to 3rd. Nakajima singles next to bring Kataoka home, Japan up 2 - 1. The Koreans once more came up with a spectacular catch and another double play to end Japan's threat. The Korean batters that came to the plate all flew out to the field with Uchikawa coming up with two left field catches. Japan added another run on the top of the 8th with a sac fly RBI for a 3 - 1 lead. Korea answers back with a sacrifice fly of their own to inch closer 3 - 2. Sugiuchi replaces starting pitcher Iwakuma at the plate to finish the inning and protect the one run lead. At the top of the 9th, Ichiro leads with a double off pitcher C Y Lim. Second Baseman Y M Ko takes a way a base hit from Nakajima with a spectacular diving catch and holds Ichiro on 2nd base. Then the Koreans intentionally walks Aoki. Kenji Johjima flies out to center while Ogasawara struck. On the 9th inning, Japan put the young phenom Yu Darvish to close out the Koreans. After striking out the first batter, Darvish yields two walks before striking out another. With only one out left, Bum Ho Lee hits an rbi single to tie the game. Darvish makes amend by striking out the next batter and game goes to extra innings. Uchikawa leads in the 10th inning with a single. Inaba grounds out next but moves Uchikawa on scoring position. Iwamura connects on a base hit as Japan once again has two on bases. Pinch hitter Kawasaki flies out to center. Then it was Ichiro's moment. After being down 2 strikes, Ichiro comes up with a 2 RBI double to give the lead back to Japan. He even stole 3rd base. The next Japanese batter was hit on the hips was also able to steal 2nd base. Aoki was intentionally walked to load the bases. But Jojihma struck out again to end their inning. Yu Darvish once again on the mound to close out the Koreans and quickly gives a lead-off walk. But he struck out the next batter, forces the next batter to fly out to center and then finished off the koreans with another strikeout. Japan wins the World Baseball Classic 2009 and the first two. Daisuke Matsuzaka once again was named MVP of the tournament after going 6 - 6 in his WBC career and now 2 of 2 MVPss. But definitely for the finals, Ichiro should be the best player. Defending World Baseball Classic champion Japan, trounced a sloppy team Team USA 9 - 4 to arrange an all-asian finals with South Korea for the crown. When I switched on the TV, I was disappointed to miss Dice K on the mound. Japan was up 6 - 2 on the top of the eight inning. Team USA managed to score two runs to threaten at 6 - 4 aided by a fielding error of Aoki. But on the bottom of the same inning, the americans surrendered three more runs. >Yu Darvish, Japan's pitching phenom, closed out the Americans on the top of the ninth. Daisuke Matsuzaka, picked up the win to remain perfect in 6 starts in WBC history. It was on the same tournament that Dice K got the attention of major league baseball that led to his signing with the Boston Red Sox. He helped the Sox capture the 2007 World Series. I was browsing the worldwide leader in sports and my attention was drawn to a photo. Is he a filipino? Is he Japeth Aguilar? I thought I saw a filipino among college players tugging each other's arms in the photo. And I was right. I checked the roster and it was in fact, Japeth Aguilar who played for the Ateneo Blue Eagles in the UAAP. He is a senior for the Western Kentucky University Hilltoppers who upset fifth seeded Illinois in this game. UPDATE: [Mar. 23, 2009] Manny Pacquiao, like a prodigal son, reverted back to Solar Sports and GMA-7 as his media partners through a formal announcement. ABS-CBN issued a statement that they will respect Pacquiao's decision. UPDATE: [Mar. 20, 2009] Apparently, the announcement by Pacman in national TV about his choice of network is without the blessing of Solar Sports and GMA-7. The two entities are the media partners of Pacquiao prior to his surprise announcement. Based on the two's statements, Pacquiao would have to win a side fight of sorts, for his desire of airing his fights via abs-cbn to come thru. ABS-CBN network will be the network who will bring the Manny Pacquiao - Ricky Hatton fight on May 2, 2009. Manny Pacquiao had another change of heart. This time, its about the network who will cover his fight against Ricky Hatton here in the Philippines. Either network will actually do since broadcast is free. They are just the same in flooding their coverage with a lot of advertisements. But personally, I would like it better if its GMA 7 because my TV has a stronger reception of it. I just hope that the decision would not be a distraction to Pacman's training. Team USA delivered a dramatic comeback in the bottom of the ninth inning to beat Puerto Rico, 6 - 5 and advance in the 2nd World Baseball Classic to face Venezuela in the semifinals. I caught the World Baseball Classic featuring Team USA against Puerto Rico at the top of the night inning, with Puerto Rico still up 4 - 3 with 1 out and Vasquez on plate. Then Vasquez hits a line drive center off pitcher Broxton that Derek Jeter could not handle allowing Rios to score a big insurance run. Puerto Rico 5, Team USA 3. Facing eliminations, Team USA proved to be up to the task. First, Victorino leads off with the single off Puerto Rican closer Romero. Then Bryan Roberts hits another single. Jeter then flies out to right field as Victorino moves to third base. Jimmy Rollins steps up on the plate next. Romero quickly fell behind with 2 balls. Bryan Roberts then electrified the crowd with a stolen base, reaching second. This puts more pressure on Romero as he walks Rollins to load all the bases with only one out. Puerto Rico's manager tried to stave off Team USA's rally and replaces Romero with Fernando Cabrera. But the damaged has been done. Cabrera surrenders a walk to Kevin Youkilis and Team USA walks closer to Puerto Rico, 4 - 5. David Wright comes to plate. With the pressure mounting, Cabrera throws two balls to fell behind and the bases still loaded. After a strike, Wright hits one a fair ball on the right to complete Team USA's dramatic comeback,6 - 5. Without a doubt, Kobe Bryant and the Los Angeles Lakers is head and shoulders above everyone else in the Western Conference. For much of the season, the Lakers and Spurs are 1 and 2 respectively in the West. Kobe and the Lakers showed it could remain that way. A spectacular first quarter and a focused Bryant are all that is needed to top the Spurs in this game. The win clinched the Pacific division title for the Lakers and a play-off spot. More importantly, it proved that the way to the finals will go through the Lakers. Also, it showed why the Spurs will be dangerous come playoff time. Manu Ginobili will return. The Lakers did not have an easy time beating the 2007 champs even without Ginobili. In four pressure-packed sets, the De La Salle University Lady Spikers fought everything the defending champions FEU Lady Spikers have to offer prevailing in the end as graduating Team Captain Manilla Santos led them to the UAAP 71 Womens Volleyball Crown. A packed The Arena in San Juan played host to the sudden death Game 3 of the UAAP Women's Volleyball Finals. DLSU showed early of the things to come with a 25 - 19 first set win. FEU, champions as they are, battled right back in the second set. Injured Shaira Gonzales inspired the Lady Tamaraws at the start and raced to a 12 - 7 lead. Jack Alarca and Stephanie Mercado tried to fight back but Mica Morada pushed FEU on top. Setter April Jose finished off the set with one of her wicked and deceiving dumps, 25 - 18. Now, the pressure mounts. After another close start on Set 4, DLSU erected a 12 - 8 lead. but FEU was able to tie things up at 16 all. Alarca restores the lead back to DLSU 18 - 16. Gonzales helps FEU side, tying again at 19 - all. DLSU denies Daquis and FEU at the net three consecutive times to go ahead 20 - 19. Team captain Manilla Santos scores 3 crucial points to help DLSU reach championship point. And as Vivas sent the ball wide, DLSU celebrated on the floor. Manilla Santos, on her last year cried over jubilant Coach Ramil, and was judged the MVP of the Season. FEU, denied of an unprecedented 30th Women's volleyball crown, settled for the first runner up. Rachel Daquis of FEU is arguably the star of UAAP volleyball, receiving applause every so often or even just serving and receiving her runner up medal. Too bad she will be graduating. 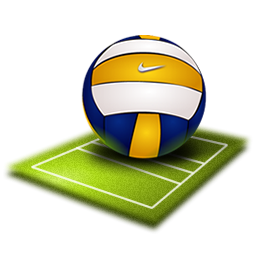 It is really a good thing that volleyball especially the womens, is gaining some popularity. Kudos to ABS CBN sports for bringing women's volleyball on TV.